Delaware’s Quaint Villages history and variety attracts groups and visitors from all corners of the globe. With it’s unique experiences, from history to nature to working farms, its nice to return to accommodations that provide the comforts of home with a price you’re comfortable with. 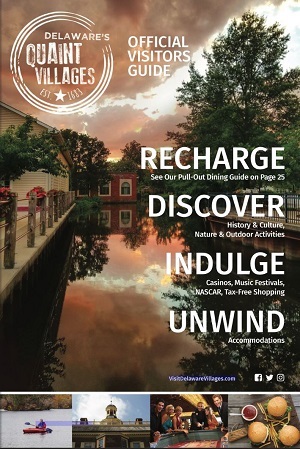 Delaware’s Quaint Villages offer a variety of hotels and services with various price ranges to accommodate different groups and styles. Whether you’re planning a bustling weekend in Delaware’s Quaint Villages or taking a week to explore the Mid-Atlantic region with your group, our office and accommodations are here to ensure your guests have a memorable and comfortable experience. Let us help you find the right hotel for your guests. Please fill out the Request for Proposal (RFP) form below or contact our Sales & Events Manager, John Doerfler at jdoerfler@visitdelawarevillages.com or call 302-734-4888 x103.